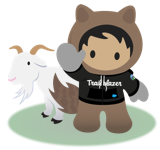 Trailhead is the fun and free way to learn Salesforce. Earn points and badges through interactive, hands-on training courses. Austin Turner hasn't posted any ideas yet.